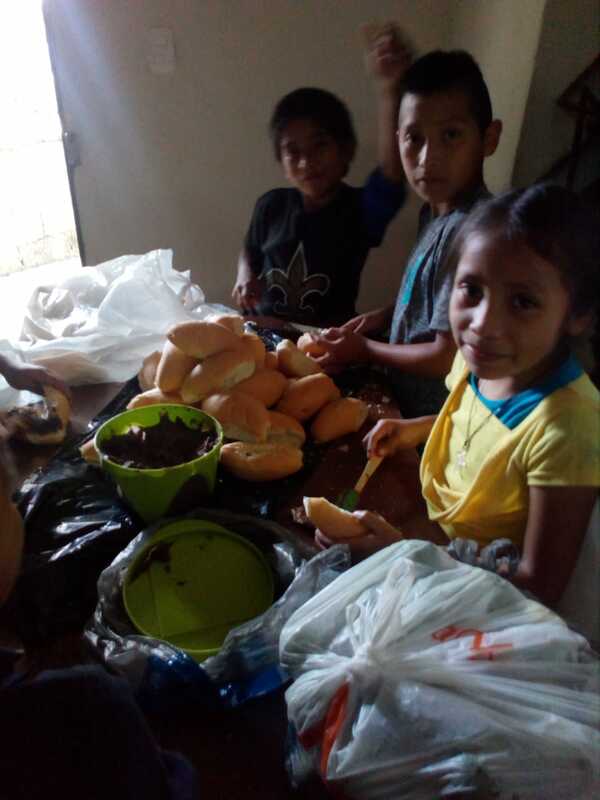 During this year 2018, we, the CLM community of Guatemala, have been spending mission days in the village of La Salvadora, in Santa Catarina Pinula, located about 15 Km from Guatemala City. The program is always the same. We arrive at 8:00 AM, early enough to prepare with care some bread with “something” in it and a drink, to share it with all the villagers who show up. At 9:00 AM we start the program of evangelization, manual work, play, activities and then we leave around 4:00/4:30 PM. On September 22 we had something special… something that made me feel alive, grateful and happy… a detail that revived in me the joy of being there, of sharing God through simple gestures of friendship, fraternity and generosity. These gifts that no money can buy are a sharing from God. It turned out that, when we arrived, the children helped us unload the car. As we organized, some of us to start on the bread, which on that day held strained beans, several children offered to prepare it themselves for the first time in the whole year! Others immediately asked for the drink and offered to prepare the lemonade themselves. It was great to see them cooperate, enjoy and, in the end, be happy and satisfied. It was a gift! Just seeing their satisfied smiles for having helped to put together bread, beans and lemonade. Mission does not consist in accomplishing great feats, but rather it is built from detail to detail, from stroke to stroke, from joy to joy. So great, lasting, persevering and delicate is the love of God, the love we share with those who suffer discrimination, who are marginalized, those who have no opportunity to receive education and health care, those who need to receive the proclamation of the good news of Jesus who died and rose again. 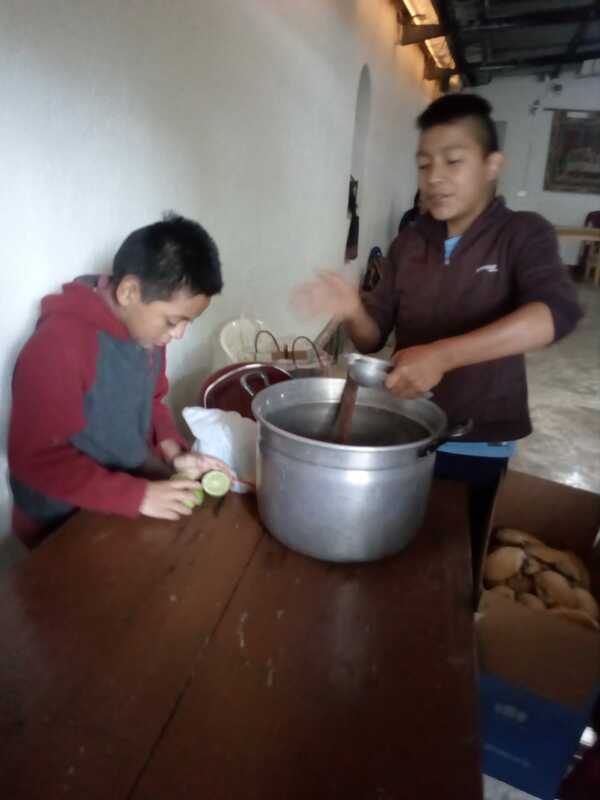 It is not important if over the years these children will have forgotten these Saturdays… when some missionaries were coming to visit, and perhaps they will forget the day when they, themselves, prepared the bread, the beans and the lemonade. I trust that in their hearts there remain a trace of each sign of love and closeness, and that in due time this memory will be transformed into a true encounter with Jesus, and they will be adults who will love him deeply throughout life. Only in this fashion will the world be transformed in a better place for all. St. Daniel Comboni, pray for us.